These courses aim to provide a working basic knowledge of the language. The focus is on everyday communication and making rapid progress in speaking and understanding. Students are given maximum speaking time in class. 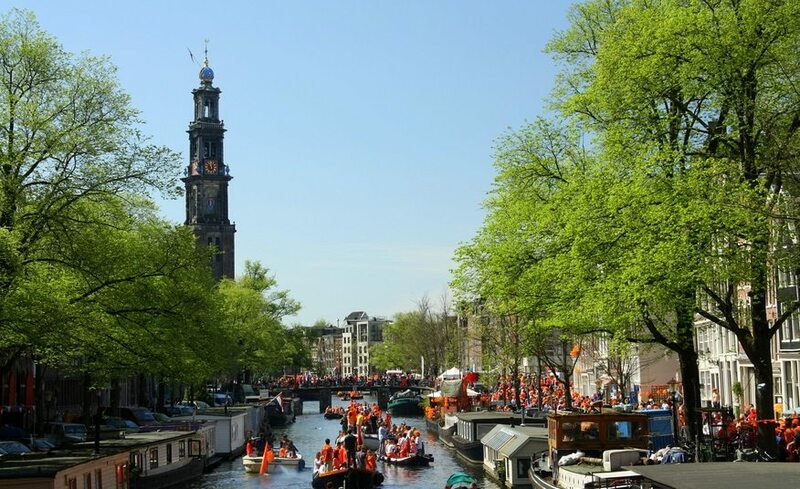 An introduction to the culture and traditions of the Netherlands is also a popular element with people who are making their first contact with the country and its people. These are an extension of the foundation courses, broadening vocabulary, raising the level and accuracy of speaking and writing and increasing confidence. Specialist subjects related to work or the interests of the learners are often incorporated into the classes. More challenging texts from newspapers, expressions and idioms are typical elements of these courses. The goal is to be able to participate in a variety of social or work related conversations having developed both fluency and accuracy. 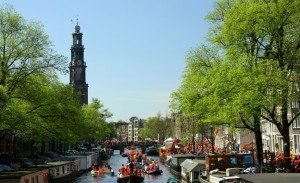 Those who have been living and working in the Netherlands and using the language for a longer period, but who have yet to perfect their Dutch language skills would benefit from this course. Preparation for the Dutch Ministry of Education and Science examination NT2 ( Nederlands als tweede taal )is offered as part of the course. The special needs of these learners, such as giving presentations, participating in meetings or writing business texts can be incorporated into the tailor-made courses. Finding the opportunity to practice your Dutch in real life situations is not always so easy. Chatting with friends in your local Dutch bar may solve part of the problem, but it’s not always enough. If you are looking for dedicated Dutch conversation practice, your best bet is to take a Dutch conversation class. You will practice speaking various conversational topics from articles you choose, helping you towards that much sought-after fluency in social situations. Well prepared for the Inburgering exam through intensive training! The Inburgering exam is the Dutch state language test that ensures you have reached a proficient level of Dutch. Inburgering is a civic Integration Course. The purpose of this course is to learn the Dutch language as well as some other aspects of Dutch culture/society. You can join the Inburgering classes after having passed our A2- level check successfully (after you have had 36 hours of Dutch language training at Katakura WBLC or 60 hours at other schools). B1 and B2 are language proficiency levels. There are six levels: A1, A2, B1, B2, C1, C3. For professions on secondary school level, you need level B1. You have a secondary school level if you have completed between 10 and 12 years of education. For this level, you need to do Staatsexamen I. For professions on a higher level, you need level B2. If you have studied in an institute for higher education, you have a high level of education. For this level, you need to do Staatsexamen II. You also need to pass this exam if you wish to register in a Dutch institute for higher education. We offer the following Dutch lessons. Amsterdam is the location were the Dutch lessons take place. You can also try a free trial lesson or join the free Dutch Language Pub.